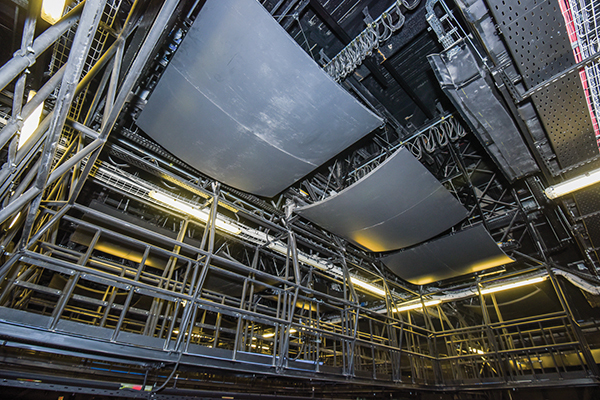 Acoustic Shells allow you to change the acoustics of your performance space with an assembly which can be rigged over stage or as auditorium ceiling panels. The shells are easy-to-use, aesthetically pleasing, lightweight and offer optimum on-stage sound and sound projection, storing compactly and are operated using a raise and lower system. The shell systems are bespoke to your requirements and are available with wood veneer, laminate or painted finishes to suit the interior of your venue.